KATHMANDU, March 23: Prime Minister KP Sharma Oli has said that women need equal opportunity in the economic sector rather than reservation and quotas. Addressing the inaugural ceremony of 3rd International Women's Trade Expo 2018 in Lalitpur on Thursday, Oli said women should be competitive in all sectors like social, political and economic. "About 41 percent of newly elected representatives are women. 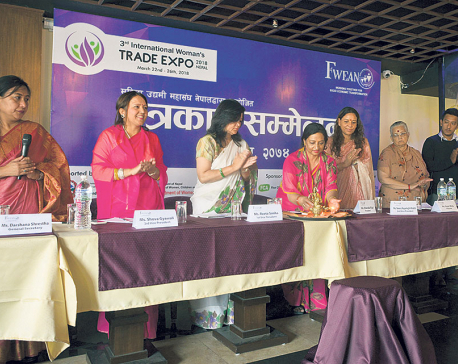 The expo is being organized by Federation of Women Entrepreneurs' Association of Nepal (FWEAN). 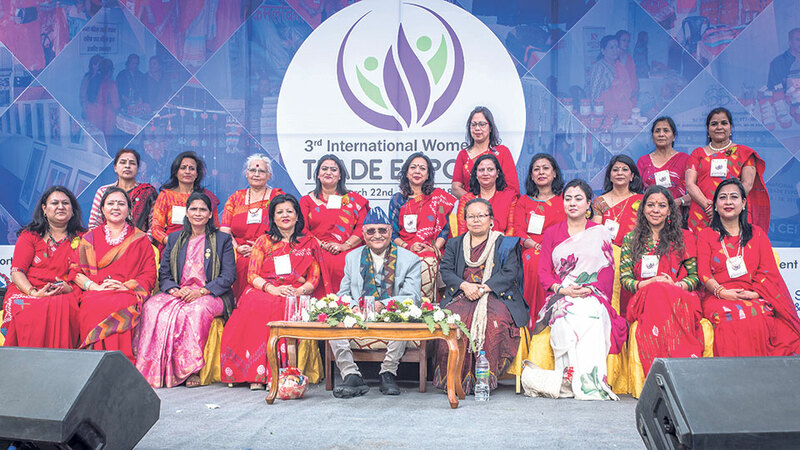 Prime Minister Oli also urged women entrepreneurs to fully utilize available opportunities for women empowerment as well as the development of the country. Expressing the government's commitment to support women entrepreneurs, he requested the federation to come up with their projects and strategies for promotion and marketing of their products. "I request all women entrepreneurs to increase their production capacity," he said. "Before thinking about export, we need to first strengthen our production capacity." He, however, urged women not to compromise on the quality of products. Minister Thapa also said that women are capable of working in all sectors like industry, commercial, banking, tourism and agriculture, among others. “Women should come forward and participate in all sectors of our society,” she added. Likewise, Bhawani Rana, president of Federation of Nepalese Chambers of Commerce and Industry (FNCCI), said major challenges of women entrepreneurs in Nepal are access to finance and exposure. Rana also requested PM Oli to support women entrepreneurs and their effort to contribute to country's economy. She also requested the government to build an international standard exhibition hall so that exhibitors do not have to run here and there to organize marts and expos. The expo has 100 stalls of women entrepreneurs from 30 districts of the country. Nepali and foreign women entrepreneurs will also be held on the sidelines of the expo. Decorative products, handicraft products, herbs and agro produce, furniture items, food items, ornaments, wooden crafts, paper products, and other handmade apparels, are being showcased at the expo. Third vice chairperson, Shova Gyawali said that while the Federation had data of 3,000 women entrepreneurs, there were more than 500,000 across the country. "The exhibition has been organized to showcase skills and expertise of entrepreneurs in international market." 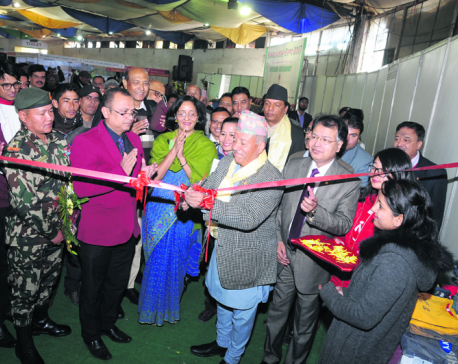 She added, "We are confident that this exhibition will help to promote Nepali entrepreneurs, their products and contribute to their earning."